Immerse yourself in the wonders of old Seville – get lost along the ancient lanes, eat tapas at street side bars, and enjoy the down-to-earth Spanish lifestyle in this small but welcoming city. 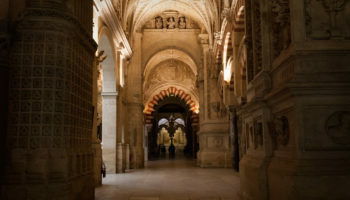 Get stuck into life in the Andalucian capital and enjoy your Spanish city break among the Moorish architecture, where you can spend time discovering tiny city squares scattered with cafes, visit awe-inspiring churches, and shop for traditional handmade souvenirs. Travel around town using the city’s easy-to-use transport system, and in the evening, try traditional tapas while chatting with locals at one of the old Spanish bars. Stay at one of the city’s chic hostels, or you could opt for a mid-range hotel in a historic building in the center. If you really want to reside in luxury, you can sleep in one of the city’s lavish hotels, which feature charming courtyards and rooftop pools. 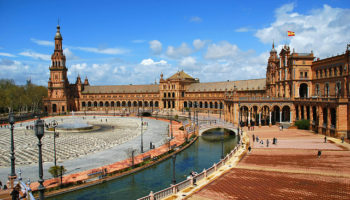 Sublime Seville is waiting for you to visit. 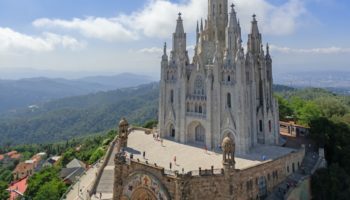 Step into a the pages of a Mediterranean tale and spend time getting to know more about this special Spanish city as you uncover its secrets. Want to find out what area of this this spectacular city is the place for you? 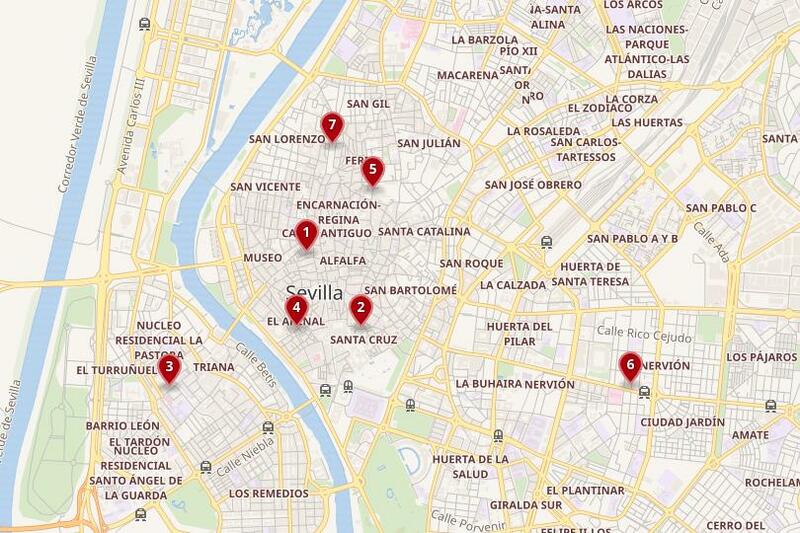 Here is our guide on where to stay in sunny Seville. If you are into shopping, then you should head to El Centro, where you can pick up all sorts of Spanish-made products, from leather goods to embroidery. High street shops can also be found here, with big names such as Zara and Mango, along with other designer brands. Stop off for a coffee and bite to eat at one of the cafes along the pedestrianized streets. There are a wide selection of independent shops and boutiques where you can discover labels by rising Spanish designers. Or pop into one of the small art galleries and discover the works of up-and-coming Spanish artists. After all of the shopping, change it up a bit by stopping off at one of the biggest wooden structures in the world, the Metropol Parasol – a rooftop walkway which provides incredible views. Staying in this retail-oriented district provides some incredible hotels designed with luxury in mind, which include spas to unwind after a day spent walking the city streets. 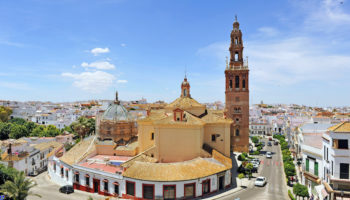 The city stays connected by a great bus network that runs through the central district, taking you to most of the places that you want to see in Seville. Hotel Rey Alfonso X – With some rooms looking out onto the Santa Maria La Blanca Church – the oldest in Seville – and others boasting views of the garden, this boutique hotel features modern interiors (think clean lines and muted tones), as well as a rooftop terrace complete with a chilled out swimming pool and a vista across the city’s historic skyline. Set in the heart of the old town, you can simply roll out the doors of this place into the most intriguing areas of the city. Hotel Don Paco – This is a stylish offering with its wooden floors and minimalist design. Here, you can open up the big sliding doors of your room and look across the city from your balcony. There’s also a rooftop bar (with a pool) at this small hotel, where you can drink a few cocktails in style – a perfect place to unwind after a day hitting up the city’s sights. The onsite restaurant serves up delicious meals as well as a buffet breakfast. Hotel Derby Sevilla – Set in a bustling square where there are plenty of options for tapas bars and restaurants literally on the doorstep, the rooms here are comfortable and spotlessly clean. The rooms at this place are surprisingly big, larger than other offerings in the city, and give you plenty of space to spread out. Quaint the interiors may be, they’re nevertheless well maintained. Despite being in a central, busy location, you can get a good night’s sleep here; it’s mercifully quiet. The bustling Santa Cruz district is often busy with tourists, who flock to the area to see the most beautiful part of the city. Classically narrow lanes wind past blocky whitewashed buildings and cobbled streets, in the old Jewish quarter surrounding the huge Cathedral of Seville. Santa Cruz is the classic depiction of a Spanish city. 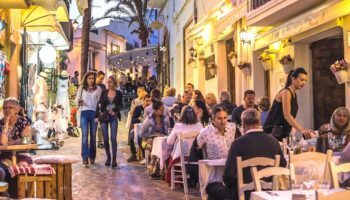 People linger outside bars, meet friends after work, and enjoy plates of tapas with a cold glass of beer at the many tavernas. Don’t forget to spend time in the area’s beautiful gardens – get lost discovering them and stumble across tiny squares, such as Plazas Doña Elvira and Santa Cruz, where you can sit under the shade of orange trees. Choose to stay in the central district if you are traveling on a budget and are short on time. 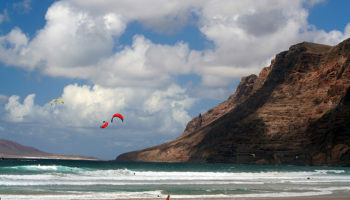 There are some clean and modern hostels on offer, in close proximity to the top sites. There is also a selection of three-star and luxury hotels, which come complete with roof terraces and stylish decor. To get around, use the city’s bike rental system. EME Catedral Hotel – There are good views, then there are stunning views. From the rooftop, you can see the incredible Seville Cathedral that’s practically next door and it’s definitely a highlight of staying here. Come sunset, the cathedral illuminates in warm colors. As darkness falls, it’s lit up and beautiful in the night sky. The EME Catedral Hotel rooms are simply stylish and design-led, reflecting a modern, minimalist version of the Moorish influence that made its mark on this city. Eurostars Sevilla Boutique – Featuring plush interiors, high ceilings with timber beams, and sleek black tiles, walking into this hotel feels like an ultra-modern reworking of the city’s old Islamic-influenced palaces. The courtyard oozes romance and a sense of pared back cool, and the outdoor pool is a relaxing place to soak up some sunshine. The outstanding staff are more than helpful when it comes to giving advice and ensuring that you enjoy your stay at their beautiful hotel. Hotel Casa 1800 Sevilla – For a real slice of living, breathing history (and luxury), head over to Hotel Casa 1800 Sevilla. Built around the courtyard of a 19th century mansion, staying at this hotel is a true antidote to the frenetic streets of Seville. Effortlessly classy without being overly opulent, this tasteful hotel features exposed brick walls, beautiful feature tiles, parquet floors, and an understated color palette. Some rooms even have hot tubs. Sipping a coffee in the cool of the courtyard feels like you’ve been transported to another time. Hotel Amadeus & La Musica – A little boutique hotel set in the Old Town inside two connected heritage buildings, this place may not be the height of luxury, but it is nevertheless chic. Think Moorish-style geometric tiles, elegant Moroccan lanterns, and big comfy beds to sink into. There’s also a large rooftop terrace, offering plenty of shade to escape the scorching sun. But the quirky thing about this hotel is its classical music theme; guests can shut themselves into the soundproof rehearsal room and play the many instruments on offer! Keen musicians will enjoy this one. Covered with stunning azure-blue ceramic tiles, Triana is stuffed full of uniqueness and a stylish Spanish aesthetic. Well known for having a different feeling to the rest of the city, Triana is proud of its strong and unique identity. The barrio is even known in the city as “the Independent Republic of Triana”. The iconic blue tiles are made from mud that is collected from the river and hand crafted in workshops around the district. 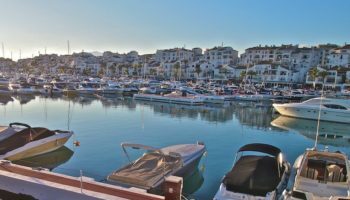 This proud and creative neighborhood is also famous for its inhabitants – traditionally this is where sailors and bullfighters would frequent the inns and tavernas alongside flamenco artists. Today, the inner city area is lively, and maintains a strong connection to its historical roots. Enjoy shopping for fresh food and goods at the local market during the day, and spend nights indulging in riverside restaurants and drinking in the buzzing bars. Choose to stay in mid-range hotels in traditional buildings, or for those on a tight budget, try one of the reasonably priced hostels in the area. Barceló Sevilla Renacimiento – This modern 5-star offering features simple yet refined rooms, decorated in neutral colors with large windows that keep everything light and lovely. Located inside three contemporary buildings, there are many amenities on offer for guests here: it’s got a large outdoor pool, a heated indoor pool, palm-lined grassy gardens, a well-equipped fitness center, as well as two restaurants. In the summer, this hotel has a fun-packed entertainment schedule, making it a good choice for families. Zenit Sevilla – On the banks of the River Guadalquivir, you’ll find this stunningly stylish offering. Sleek and minimalist, flooded with light wood, neutral colors, whitewashed walls, and dark grey slate, it’s a design lover’s dream. The spacious rooms are decked out with huge shower rooms, ceramic tiles, and low, big beds. The onsite restaurant serves up Andalusian cuisine, whilst in summer, you can head out to the roof terrace and enjoy a few drinks. It has a comfortable, secluded feel, complete with pool and cozy seating. Monte Triana – The contemporary design and clean lines of this hotel have a definite feel of modern luxe – it’s all reflective surfaces, lit columns, and glass basins in the en-suite bathrooms; the rooms are spacious and the beds are large and comfy. Downstairs, you’ll find a bar where you can sit and sip your favorite cocktails whilst planning what to do the next day. Staff are always on hand to offer advice and tips on what to see around the city. Pierre & Vacances Sevilla – Pierre & Vacances is bright and cheerful in its color palette choices, which makes for fun surroundings to enjoy your time in Seville. 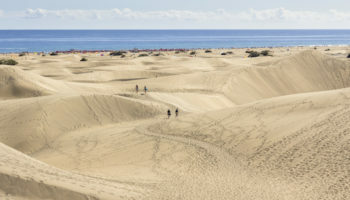 The rooms here are studios and come complete with an outdoor patio area, a full sized kitchen, and dining area, as well as a lounge – and en-suite bathrooms, of course. This is a great, affordable option for families or those who want to keep costs low by making their own meals (supermarkets are nearby). In times gone by, Arenal was a port where famous ships arrived with their goods from the New World. Now, it is busy with an affluent young crowd, who pack the bars and tapas tavernas. The modish Torre del Oro bullring attracts many visitors, and is one of the most famous of its kind in the world. Check out the artistic Maestranza theatre, as well as the baroque Hospital de Carida, with its strange and macabre art. The area along the river was regenerated for Expo 92 and has become a chic place with upmarket leather goods shops, stylish bars, and restaurants with brilliant views over to Triana. Book into one of the area’s historic 4-Star hotels, where you can stay in the same room that wealthy merchants once chose in the past. It’s a pleasant wander along the street to grab some dinner, and in bullfighting season you’ll have the best spot to watch the fight and soak up the traditional atmosphere. Gran Meliá Colon – This hotel comes complete with its own unique aesthetic that feels ornate and extravagant. For example, the doors to the rooms are quirkily decorated, appearing as huge oil paintings with gilded frames. Billing itself as a design hotel, there certainly are a lot of design touches jostling around at this 5-star option. There’s a cocktail lounge here, as well as a fantastic tapas restaurant, plus there’s a spa and a decked rooftop area complete with swimming pools. Vincci La Rabida – This hotel is set inside a beautiful 18th century mansion and boasts exquisite original features like tiled floors, stone archways, and high ceilings. There’s also an Andalusian style courtyard and a rooftop terrace where you can enjoy an evening meal. Some rooms at Vincci La Rabida come with charming balconies – others feature their own private sun terraces! There’s a selection of rooms on offer, from doubles to family suites, making it a good choice for almost anybody. Las Casas de El Arenal – The service at the 4-star Las Casas de El Arenal is exceptional. Each room comes complete with its own mobile phone, meaning guests can make calls, access travel guides and take it around the city. There’s even a babysitter (for families with small children) and valet service. Priding itself on excellent service, the tasteful design of the hotel also reflects the impeccable quality of hospitality on offer here. Rooms are set around a shady courtyard overflowing with greenery and terracotta tiles. This well-known neighborhood is a creative hub, where trendy kids from the city hang out in cool vintage shops and secondhand bookshops. 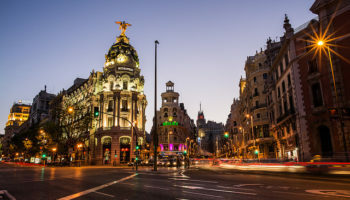 The area’s market, the Mercado de la Feria, is perfect for picking up bites to eat – try some tasty paella or some traditional potatoes. 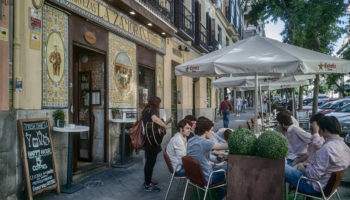 Local’s tapas bars are packed with the young, trendy crowd, who meet here after work and on weekends to enjoy tapas and glasses of cold beer. The nightlife here continues late into the evening, as friends sit around chatting and laughing together. The vibe in La Macarena is fun, and many feel at home in this area of Seville. The Basílica de la Macarena in this district is popular with travelers, who come to see the statues of the wooden, jewel encrusted Virgin of the Macarena. Use the bus links in La Macarena to travel around the rest of the city, and stay in the area’s cheap but chic hostels and low cost hotels. Exe Sevilla Macarena – This is a big hotel with a classic but old-school grand style. The rooms at Exe Sevilla Macarena are carpeted and decked out with dark wood furniture, large mirrors, and sofas. But one of the best things about this hotel is the rooftop terrace, where you can take in a 360-degree view of the city with a drink or two. For sports fans, there’s a big bar with international sports channels showing, but the restaurant is set around a more chilled out courtyard. Hotel Plaza Santa Lucía – On offer at this hotel are unfussy rooms with a simple and modern design aesthetic. They’re not opulent, but they’re clean and well equipped. Elsewhere in the hotel, guests can take a break from sightseeing on the rooftop terrace or take a relaxing dip in the pool. But it’s the location that steals the show; Hotel Plaza Santa Lucía is close to many top attractions and, of course, many a tasty tapas bar. The modern part of Seville, Nervion is centered around business and shopping. Because the area is an urban commercial hub, it has fantastic transport links and its own metro stop – it is well connected to the city center. Nervion also has speedy rail links to the airport, great for visitors who are in the city for a quick stop over. If you love to shop, Nervion is the district for you. The Nervion Plaza is a shiny shopping center situated just outside the old town which features a huge variety of shopping – from food to clothes and electronics. There’s even a cinema for when you want to spend evenings watching Spanish movies. Football fans should head to Nervion because the Sevilla Football stadium is also located here. Staying in this quiet area will mean restful nights – the hotels are also newer and larger than those in the old city, giving you more space to store all that shopping. 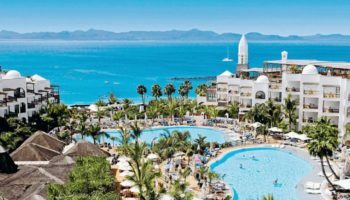 Melia Lebreros – Smart and sophisticated, this hotel boasts spacious bedrooms with plenty of room for luggage, big, bouncy beds and muted, tasteful decor. The choice of rooms at Melia Lebreros has a bearing on what level of exclusivity you get at the hotel. Certain rooms come with access to concierge services and executive lounges with open bars and private buffets. You can still have a great time at this wonderful hotel without going for the best option, though. There are two restaurants and a bar to chill out and chat in. The Alameda neighborhood is the area surrounding the Alameda de Hercules, a broad, tree-lined avenue flanked by trees. This hip district is all about its restaurant scene. 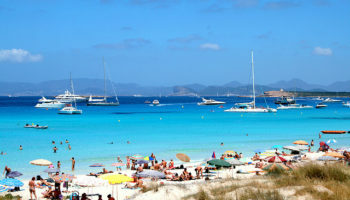 There is a huge variety of restaurants to choose from, including traditional Spanish bars and quirky eateries. Many students live In Alameda, as the main central university is easily reached by foot from here. Popular with young people, Alameda is a fun place to stay, where much of the accommodation on offer is cheap and perfect for budget travelers. With the student community comes a pretty funky nightlife – hang out in the hot spots and enjoy drinking with the locals. Sacristia de Santa Ana – Positively oozing Seville’s stylish aesthetic, Sacristia de Santa Ana features some incredible design. A properly romantic boutique hotel, the rooms come in a variety of styles; some look like royal boudoirs from the 18th century, whilst others are more cutting-edge and minimalist. You can grab a drink at the bar here and luxuriate in the classical decor. It’s actually surprisingly affordable to stay at this beautiful hotel, which also features warm and friendly staff who create a welcoming, authentic atmosphere. Patio de La Alameda – Complete with an atmospheric, glowing orange internal courtyard, this was once the home of famous 19th century Spanish sculptor, Antonio Sasillo. You can be safe in the knowledge that by staying at Patio de La Alameda, you’ll be staying in a slice of Seville’s history. The rooms here have curved wooden windows that overlook either the courtyard or the bustling street below. Neat design touches – like a lovely selection of plants dotting the hotel – make this a cool place to stay – and so does the rooftop bar.